What if H.R. 1695 Doesn’t Pass…? As you already know, PPA is making big push this week to get H.R. 1695 passed. The passage of H.R. 1695 would make the Register of Copyright a Presidential Appointment that would be vetted by the Senate both before and after being chosen. However, as with anything in D.C and on Capitol Hill, is it is always important to consider what would happen if H.R. 1695 does not pass. If H.R. 1695 is unable to get the votes it needs tomorrow, the Register of Copyright would continue to answer to the Librarian of Congress. The Librarian of Congress and the Register of Copyrights have inherently opposing jobs. The Librarian is responsible for capturing a screen shot of society and being able to share it with everyone. On the other hand, the Register is responsible for making sure creators are being given their credit and compensation, which limits free-and-wide usage. The biggest setback if H.R. 1695 does not pass would be the difficulty modernization and Small Claims legislation would face. These goals would be significantly harder to achieve. Even if the Copyright Office is given a face-lift and is brought into the 21st century, able to hear disputes regarding copyright infringements, it would still answer to the Register of Copyright. Basically, all the "modernization" would be made for nothing. The librarian would still control what and how the register operates. This would be a huge setback considering that the Librarian does not have the same in-depth knowledge of copyright issues as the Register. Not passing H.R. 1695 would make any and all work being put into the copyright office a waste. The good news is that PPA does believe that H.R. 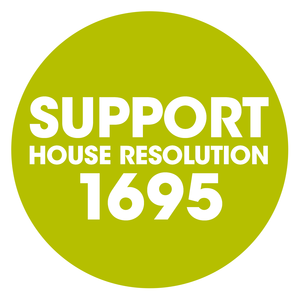 1695 will pass. There is bi-partisan support for this bill and constant agreement that something needs to be done about the Copyright Office. Between the ancient workings of the Copyright Office and the abrupt removal of the Register in October of 2016, this is the momentum creative artists and photographers needs to get the House to pass H.R. 1695. Be sure to email and call your representative now!